In the new retail environment, increasing volumes don’t necessarily guarantee reduced supply chain costs which were traditionally expected due to economies of scale. These days suppliers to the retail trade must rethink their operations. By all accounts, the shopping public today is spoilt rotten. Sales have become an almost everyday occurrence, and products change almost as quickly as the sun sets and rises. Promotions change daily and we are starting to measure popular products’ lifespan in days rather than weeks or months. Retailers must – and are – making radical changes to their supply chains in order to maintain competitive prices for their consumers. this means that suppliers are faced with the traditional cost/price squeeze. Over the past ten years food prices relative to inflation have shrunk and non-food prices have declined over the same period according to Stuart Ross of MD Iceland Foods (SMART 2005 paper). The current tactics being adopted by Coles and Woolworths are identical to Tesco and Walmart strategies, designed to increase supply chain efficiency and reduce costs to ensure prices remain competitive. As Ross Bradley puts it (SMART 2005), Berri Ltd is faced with major challenges and initiatives such as reduced retailer inventory holdings, reduced order lead times, factory-gate pricing (FGP) and its cousin primary freight, one touch shelf ready packaging, indirect distribution for suppliers through retailers DCs, changing POS display technology and tailored product offerings to suit local markets will further challenge suppliers to move product efficiently through the pipeline. With predictions of higher fuel prices, poor infrastructure, tighter environmental controls, driver shortages, road congestion and the impact of an aging population-base on demand, costs of doing business will continue to increase. Retailers are re-engineering their supply chains to gain economies of scale through consolidation of multiple suppliers’ products, ensuring that their transport operations are maximised and DCs well utilised. The result of this is higher stock-in rates of the right stock and increased logistics utilisation and efficiency. But unfortunately the savings will be used to offset the higher uncontrollable costs and to maintain competitive price pressure and increase shareholder returns. As a supplier operating in this environment there are many challenges to overcome. The volume paradox is just one such problem. If you are a supplier in a marketplace that is demanding smaller volumes more frequently, it is difficult to increase your volume and gain economies of scale. In addition, if you lose control of your freight nomination through FGP and primary freight initiatives, you weaken the rest of your business. This will force a higher cost-to-serve on your non-retail volume. Further, if one grocery company is open about its promotion and other plans and another is closed (which is the case in Australia), and expects you to respond to short lead times without any long-range forecasts, you are further hamstrung and the impact on production and other supply chain plans is greater than your ability to recover costs through increased prices. Margins will suffer! So the dilemma for suppliers is how do embrace retail strategy changes into their operations and still stay operationally efficient if they cannot draw economies of scale from their operations. The volume dilemma is evident in the non-grocery retailers as well, although for those companies that have control over their stores – such as the white and brown goods traders, branded apparel and shoe stores, branded bookstores, branded food outlets and so on – the problem is similar but different. The traditional model for many non-grocery retail stores is buyers buy, manufacturers ship, retailers store and allocate stock to each store. In many cases they get it wrong resulting in substantial store to store transfer of product and increased dumping of non saleable stock through discount outlets. Trying to remedy this situation is also paradoxical in that these types of retailers need to move away from the traditional model and create greater flexibility in terms of their stock offering and inventory levels. To do this they need to integrate buyer/store supply chain flows. Many stores have a one size fits all (no pun intended) approach to their supply chains as per the traditional model, but understanding the characteristics of your profile will enhance your position. In the apparel industry retailers are analysing their product movement profiles and in many instances starting to realise that you need to treat fashion items, seasonal items and core items very differently to be efficient. A fashion SKU has a very short shelf life and it is typically only saleable for about six weeks. Fashion items by their nature are less predictable and with predictability comparable to a new product launch profile, planning must be focused on managing the variation to forecast demand. Instead of allocating the product continually to stores, an option may be to allocate the first batch and then replenish to critical stock levels. By holding the product back at a DC level the retailer can then push product through the stores that have higher demand rather than have each store holding the same stock level in terms of weeks on hand. Such a stockholding policy results in high obsolescence, higher promotional selling, higher instances of stock outs affecting revenue generation, and ultimately increases cost and reduces service. A seasonal product is different again, in that it has less predictability than a core business item, but more than a fashion item. A fashion item is virtually like a new product whereas seasonal products such as heaters, fans and beer are known to have a less variable demand pattern. Being more predictable, it is just as viable to hold that product at the store level according to its demand profile for that store. Generally the short, sharp nature of a seasonal sale and the higher demand for a product at a given moment in time, has major service issues and revenue loss potential if not planned right. A core business item should be the most predictable. It probably sells throughout the year and it would have a good sales history from which to draw the right information to make informed decisions about satisfying demand volume. Core business items are high-service items in that people expect them to be in stock and therefore stock availability should be the focus. Where the volume dilemma becomes prominent is when you are re-engineering your supply chain with multiple solutions. For example moving away from a push driven system to a demand driven supply system may in fact require more frequent delivery and more stock held centrally with shelves replenished to a critical stock level. The downside of this strategy is that more frequent delivery will change the profile of your logistics task. 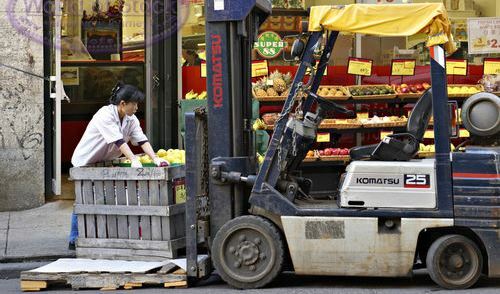 More delivery means less quantity per delivery and less quantity per delivery means reduced transport efficiency as loads become smaller, reduced DC efficiency as the picking task may be shrunk from bulk picking to item picking, and buying may change so as to reflect smaller volumes purchased more frequently from the suppliers. In addition when you add growth to the mix and add volume to the above profile, it actually increases the amount of effort in the DC and transport systems as it means a greater range of products being picked in smaller quantities. So in this instance there are no economies of scale available through growth which contradicts traditional logistics wisdom. These are the types of problems being experienced across the non-grocery store retailers and the suppliers to the big two retailers. As these trends continue it is more and more challenging to create efficient supply chain systems. The true measure of the impact of these issues is evident when you conduct a cost-to-serve analysis. The analysis provides a view of the effort and activity required to fulfil each customer with a range of product. The analysis shows up in glaring detail inefficient operations and directly shows the cost impact on a cost per unit basis! So whilst a cost-to-serve analysis will measure the impact of these areas it can also be used as a starting point. If you know the cost to serve, you can segment your business into areas that reflect the effort required to service a customer. Gattorna’s approach (2004) to strategic alignment offers a good approach to restructure your business using buying behaviour as a key variable to supply chain activity. There are of course a number of alternative strategies that a company can use to aggregate volume and attract economies of scale. The answer lies in the realisation that most suppliers are in the same boat. The focus needs to be on working out who you want in your boat! At the end of the day do not accept what your customers are telling you before you do the numbers on your own business. At Logistics Bureau, we have at least twelve assignments on at the moment that involves assessing the impact of retail strategy on supply chain operations. We have just as much work on realigning supply chains for non-grocery retailers.